I just got back from Utah a few days ago, worked 3 nights in a row, and tonight is my first night off. Since I’ve been back, I’ve been having Utah withdrawals. I was unbelievably amazed at how beautiful the scenery was and I cannot wait to go back and explore some more. 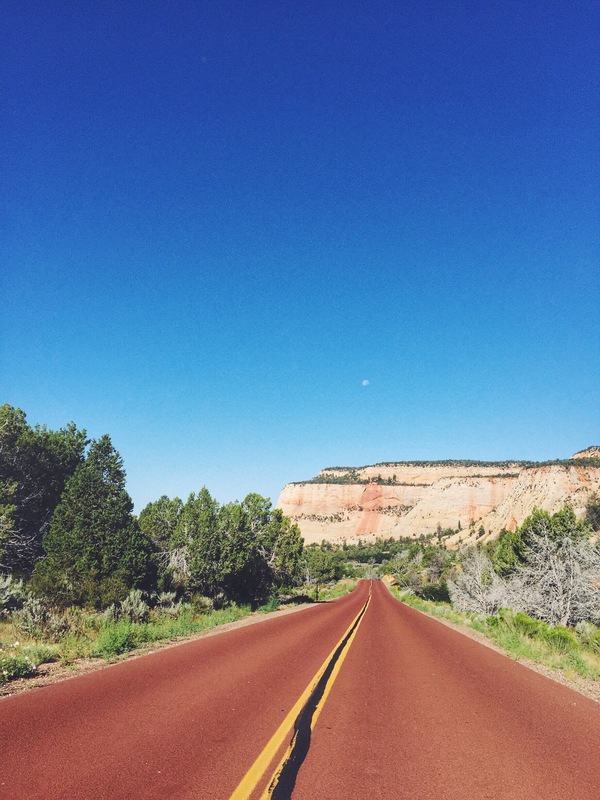 If you haven’t been to Utah you must go! I flew to Vegas and then rented a car did my own customized version of the Grand Circle road trip that most people do. I wanted to share with you where I went and where I stayed in case you will be planning your trip soon. 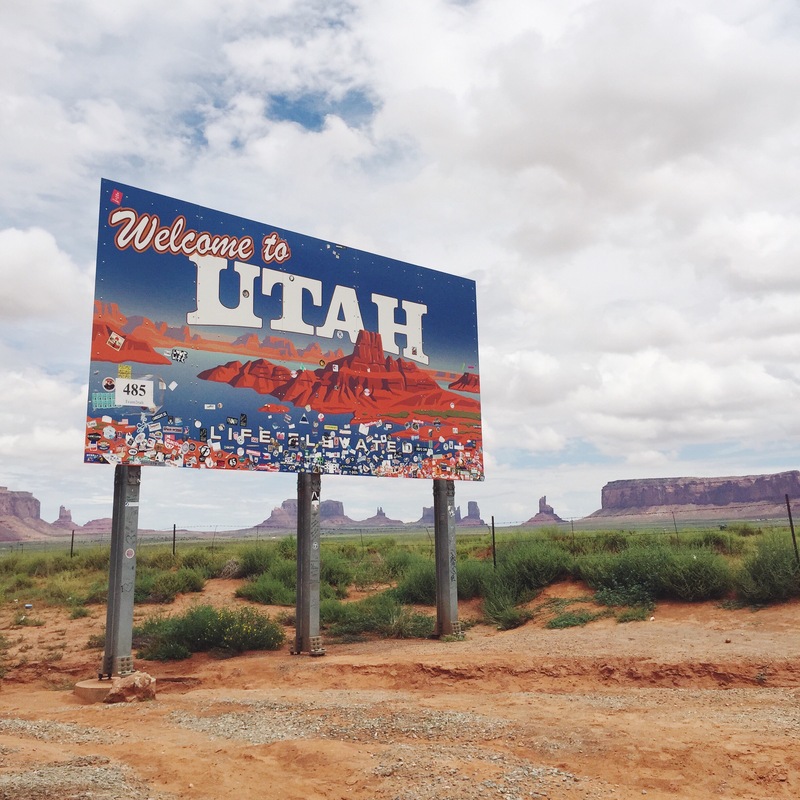 So first of all, the reason I chose to go to Utah was because I wanted to do something crazy for my thirtieth birthday. I normally don’t like to celebrate my birthday, but since it’s been a significant year for me I wanted to do something for me and celebrate how much I’ve grown over the past year. Plus it’s my dirty thirty! Anyhow, I flew into Vegas the night before my birthday, picked up my rental car and headed to St. George where I stayed at an Airbnb. It was actually my first Airbnb experience so I was a little nervous because I was traveling alone and would be arriving at the place at night, but it turned out really well and would recommend anyone to stay there! I read really good reviews about the host so I kind of went off that and the reviews turned out to be 100% true. The host wasn’t there when I stayed, but he stayed in contact with me the whole time and texted me throughout the process to make sure everything worked out well for me. The host even provides water, cliff bars, a whole assortment of cereal and milk for breakfast, and craft beer! His dog Lizzie is also super cute and friendly. Here is the link to the place if you’re interested in staying there as well. 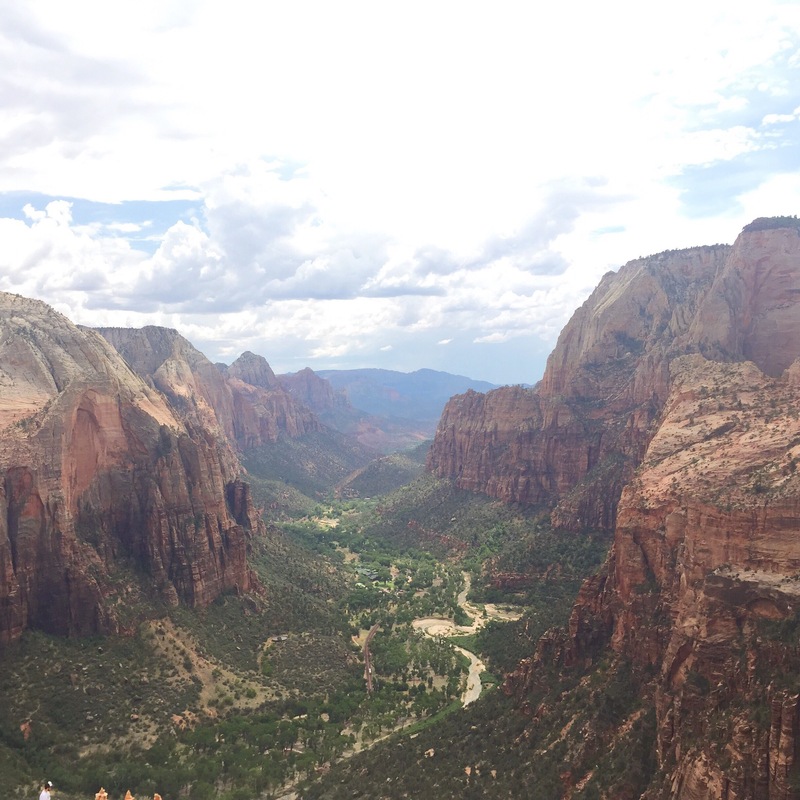 It was only about 40 mins from Zion National Park. In the morning I headed to Zion National Park, parked in Springdale cause I heard the parking gets full if you don’t get there early enough in the summertime. I took the free shuttle to the park and then took the shuttle from the Visitor Center to the bus stop called The Grotto (I think). 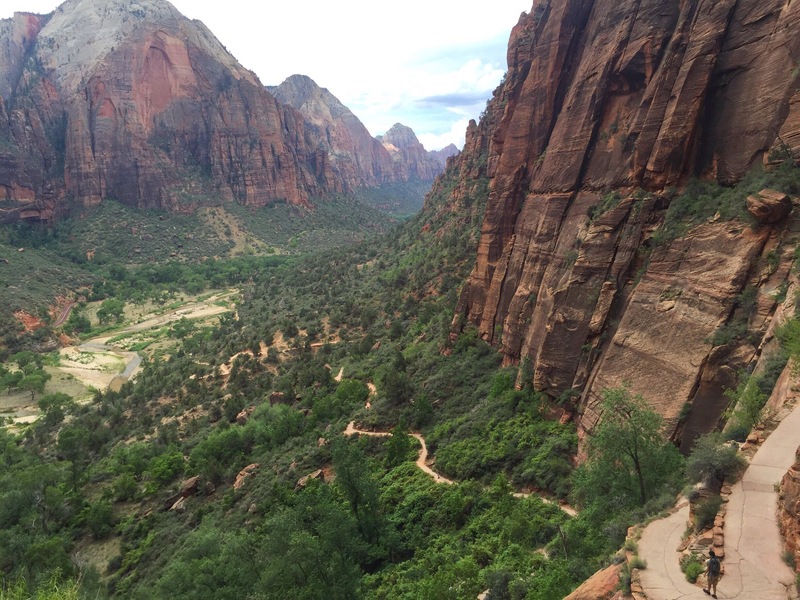 And then I was off to start my hike to Angel’s Landing! 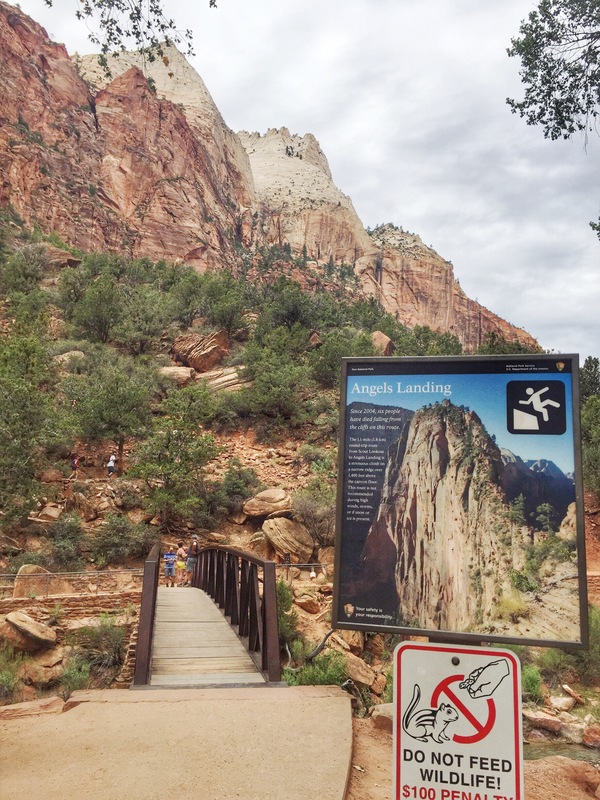 If you haven’t heard of Angel’s Landing, just google it and you’ll see why I was initially very scared of doing this hike. They don’t recommend people who are scared of heights to go on this hike and people have died from the hike, but to be honest, the hike was way more fun and definitely not as scary as the internet describes it. It’s about 6 miles roundtrip, but pretty strenuous and requires some scrambling, chain-holding, a set of switchbacks, and more. But to me, I love hikes that require scrambling and maneuvering like you did as a kid when you played on jungle gyms. The amazing view on the way up. I am scared of heights, but I love the feeling when you face your fears! How amazing is this view? The hike is so worth it. I wish I had this view everyday. The total time usually takes 4 hours roundtrip and I did it in less than 4 hours with a break at the top to enjoy the views and have a snack. And I am in no means athletic or in shape like I wish to be. I just really enjoy hiking. 🙂 I do recommend you bring a hat, lots of water (1-2 L), snacks/food, hard candy, and shoes with good tread! It does not have to be hiking shoes/boots. In fact, I wore my trail runners because I went to an outdoor gear store and a store associate recommended that I have a shoe that’s flexible and that I can easily move in. There are a lot of sandy areas and a lot of maneuvering you have to do, so good, comfortable shoes are very important. Please don’t wear Vans! It was a basic motel, but it was clean, allowed me to shower, and the managers were a husband and wife who were extremely friendly and even gave me recommendations on where to go on my trip. I would definitely recommend this place if you’re going to be in the Southern Utah area. The location is great! You also get free breakfast! The bread was made by the wife with some homemade jam to choose from. 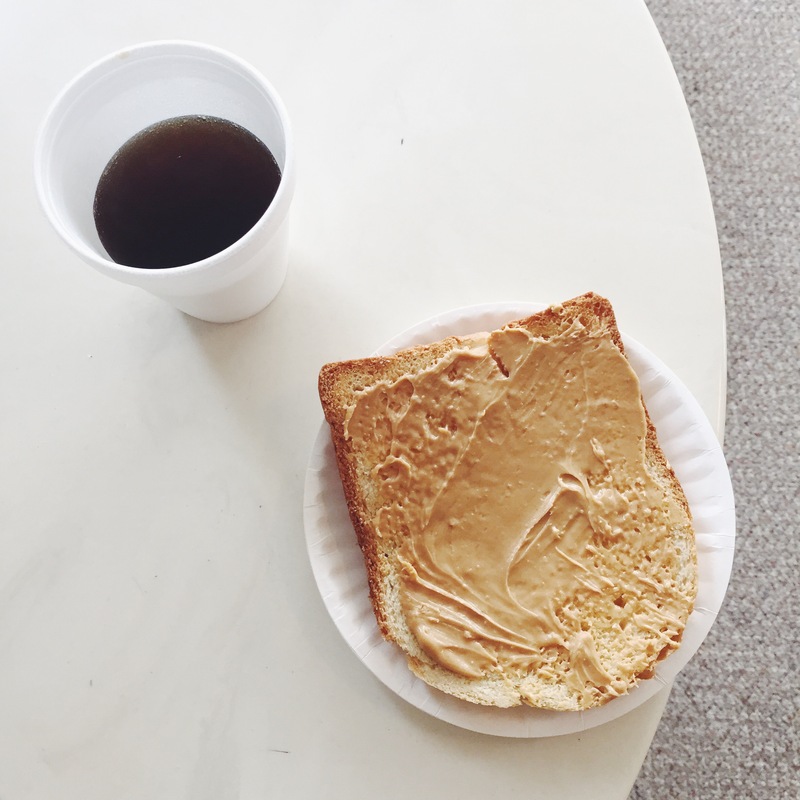 I chose peanut butter of course. They also had cereal, watermelon, and coffee of course! 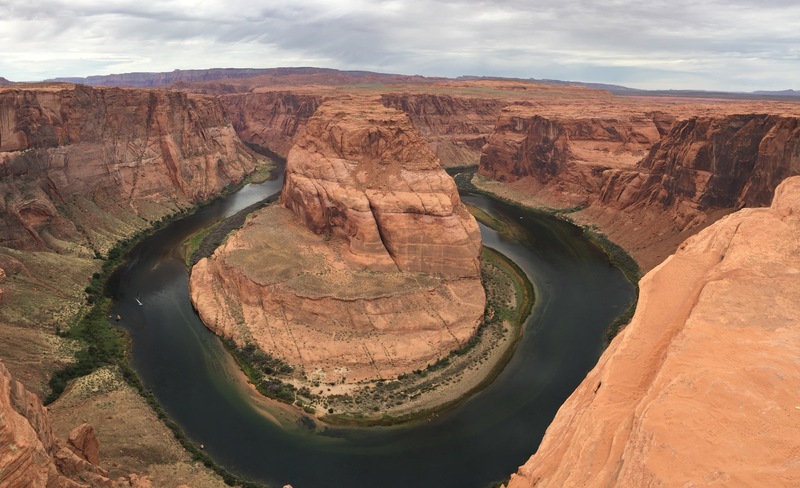 Horseshoe Bend. Amazing isn’t? Too bad it was a cloudy day, because I’ve heard it looks amazing when the sun shines down into it. There were a lot of tourists there too, but still worth the visit. It’s just a quick stop off the 89. 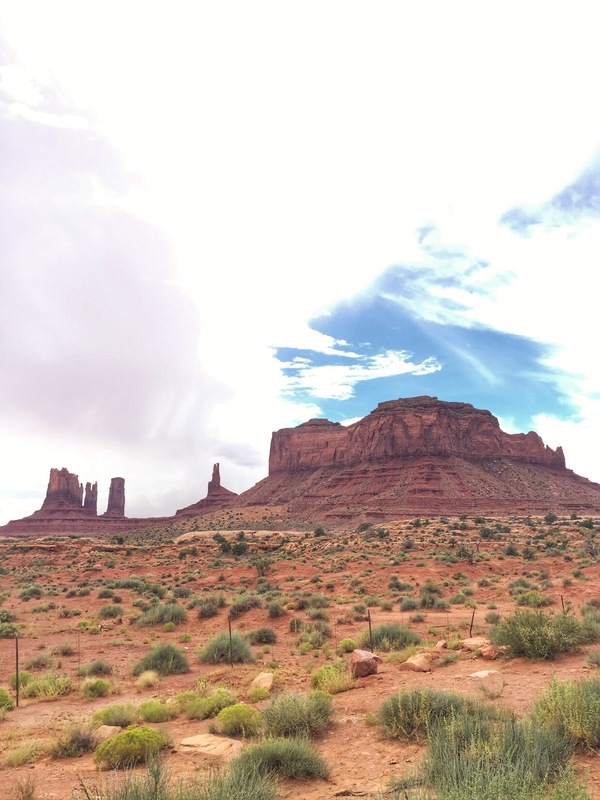 And then I headed east to see Monument Valley. I forgot to get cash that morning, so I didn’t have the $20 to actually go inside the Navajo Park and I really didn’t want to drive to an ATM and go back. But you still get incredible views just driving by. I definitely had an awe-inspiring moment here and I had to pull over a gazillion times to try and get a good shot. Pictures definitely do not do justice. And you also get better views of Monument Valley when you drive west instead east like I did. Oh well, I know I’ll definitely go back in the future. And then, I was off to Moab! 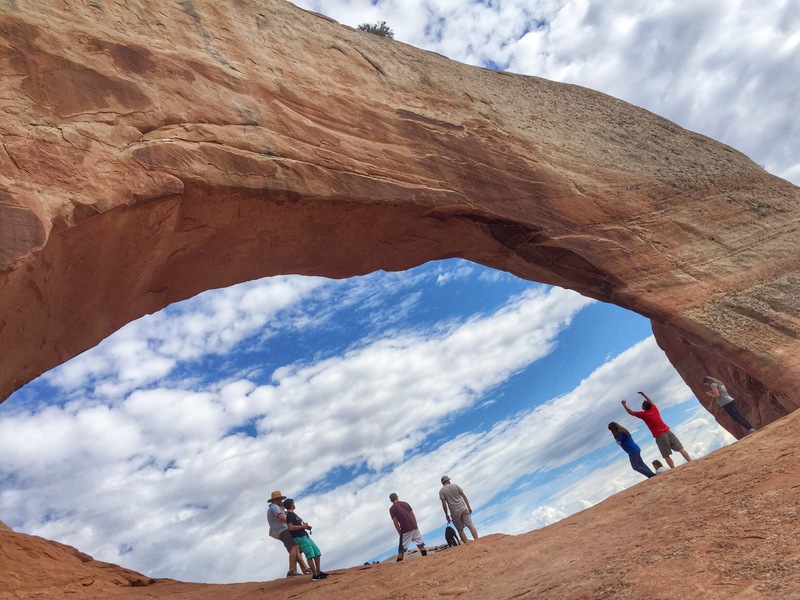 Before going to Moab, I wanted to stop by Canyonlands National Park, but I ended up driving into the wrong entrance and realized I was 3 hours away from where I actually wanted to go, which was the Island in the Sky to see Mesa Arch. 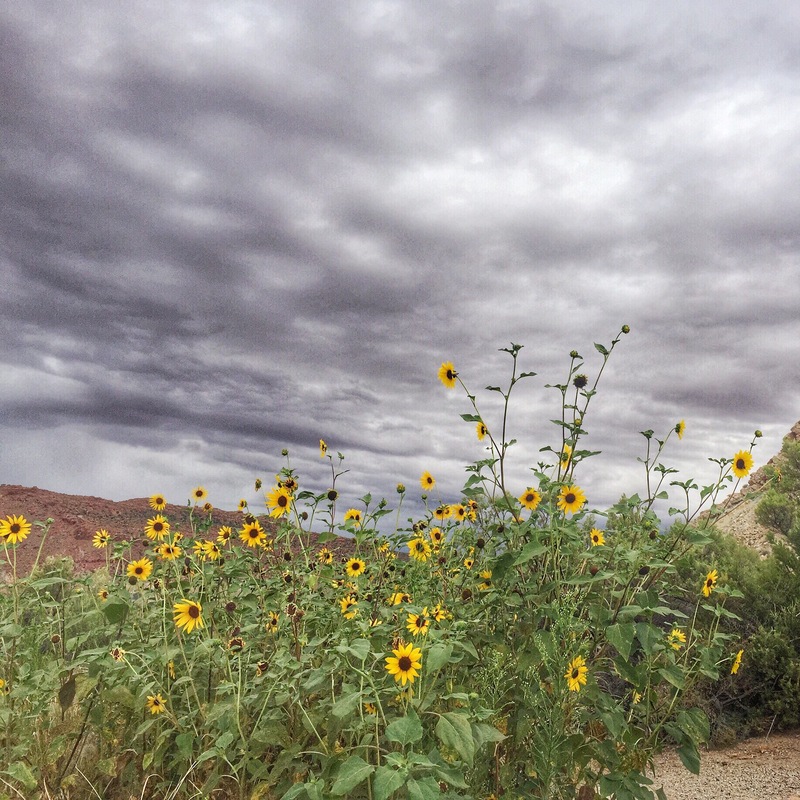 It was already getting kind of late and I was getting tired of driving so I decided to skip Canyonlands and head to the hostel I was going to stay at. 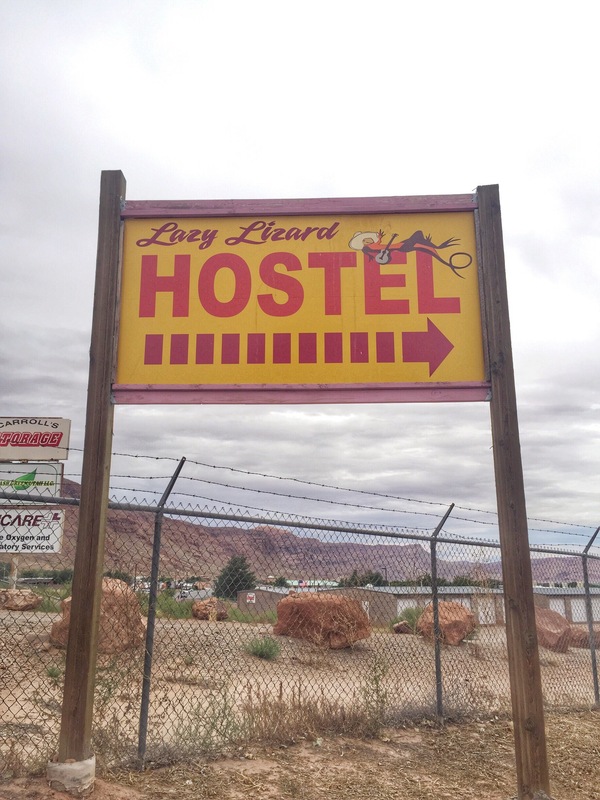 I heard about this hostel from someone who has already been there and I am so glad I did! I only paid $12.12 a night to stay in a girl’s dorm room. It would’ve been only $8 for a campsite in the back if I knew there was campsites to begin with. Before I got to the hostel though, I stopped on the side of the highway for this…. I mean, can Utah get any cooler than this? It can! How amazing is Mother Nature? Totally recommend this place! I actually met two random guys, both solo travelers that same night and I convinced them to go to Arches with me at night cause I was a little scared to go alone. Although I’m sure to some it might sound crazier that I went with two complete strangers! But that’s the beauty of traveling because you always meet new people from all over the world. It was such an awesome experience just hanging out at the park at night, watching the stars. I haven’t seen stars in a long time so I was extremely happy even though it was still kind of cloudy that night. 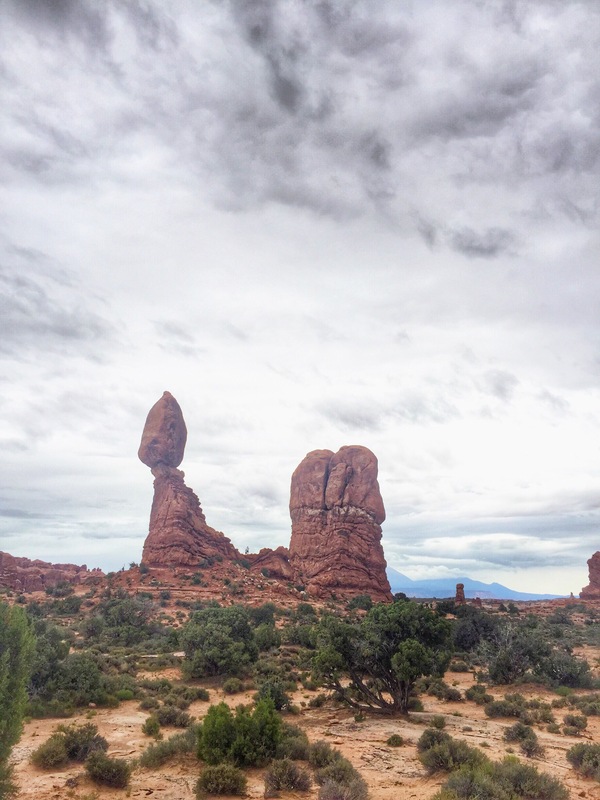 The next day was Arches National Park! This park is so awesome. It’s basically an adult jungle gym with amazing natural formations that make you wonder how the hell? Haha! The hostel was only about 8-10 miles away so I didn’t have to wake up too early. I got into the park around 830 and it was already packed! So make sure you go early cause I’ve heard there’s a lot of traffic to just get into the park after 930-10 and parking is extremely tight. 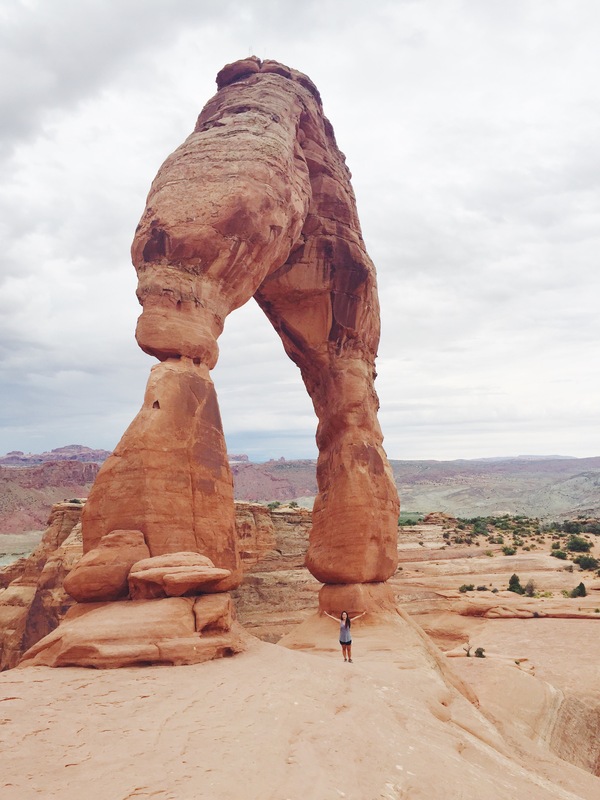 I headed to Delicate Arch first because I feel he’s the main attraction and I wanted to make sure I got the better end of the weather since it called for thunderstorms later in the day. The beginning of the trail. Although I wanted to see Delicate Arch in the sun, the clouds definitely made the hike a lot more bearable in the summer heat! The hike is only 3 miles round trip but there are some parts that are a little uphill, including a slickrock that you go up. 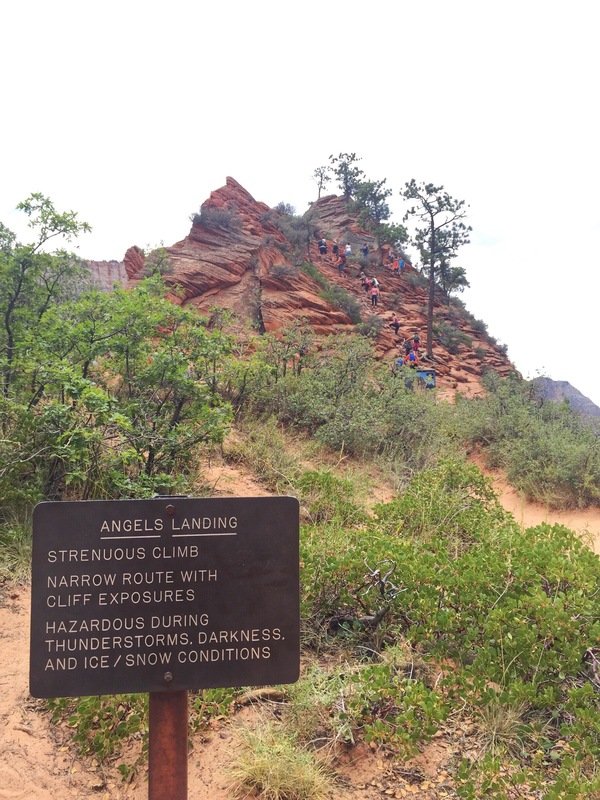 Don’t forget to bring water and a hat because there is very little shade just like Angel’s Landing. Can you tell how steep it is? I saw this awesome elderly couple on the way up. The lil ol’ lady with her cane and her lil ol’ man right behind her to make sure she was okay. They were almost at Delicate Arch by the time I started to head back. So cute! 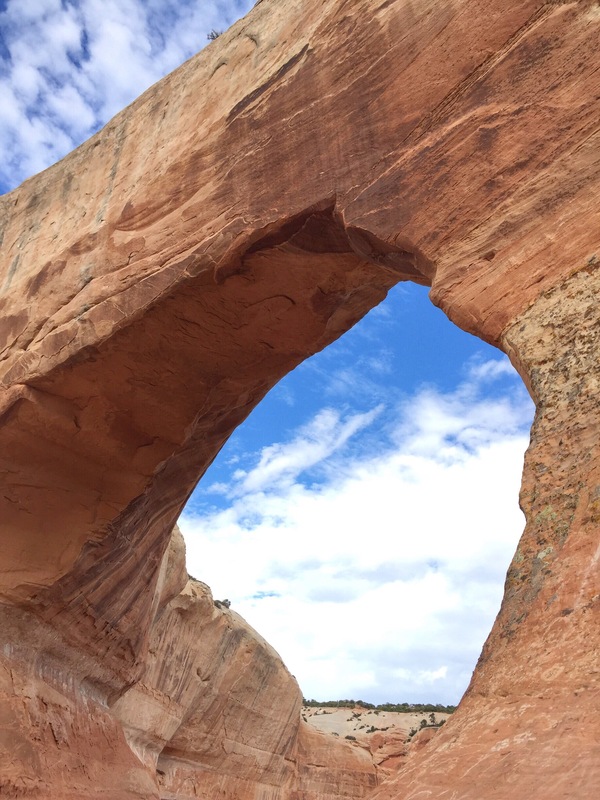 I definitely know why Delicate Arch is the most popular though. Just looking at it makes you wonder how something so beautiful was created by nature alone. Take a look. After the hike, I wanted to explore more of the park, but every other parking lot I went to was FULL. So annoying! Haha. Can’t I just have the park to myself? 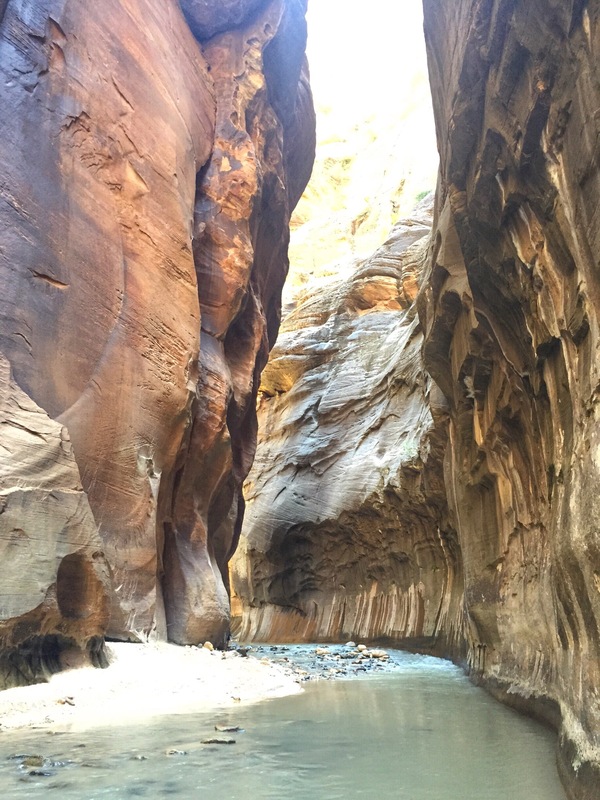 But anyhow, as I drove around admiring the formations, I started getting this intense urge to go back to Zion to do the Narrows before my trip ends. It was never my plan to do the Narrows because I wanted to do the top-down hike in the future, but I started realizing that the thunderstorm was coming in, which meant I wouldn’t be able to see stars at night, and I realized everywhere else in Arches was going to be similar with more cool rock formations. 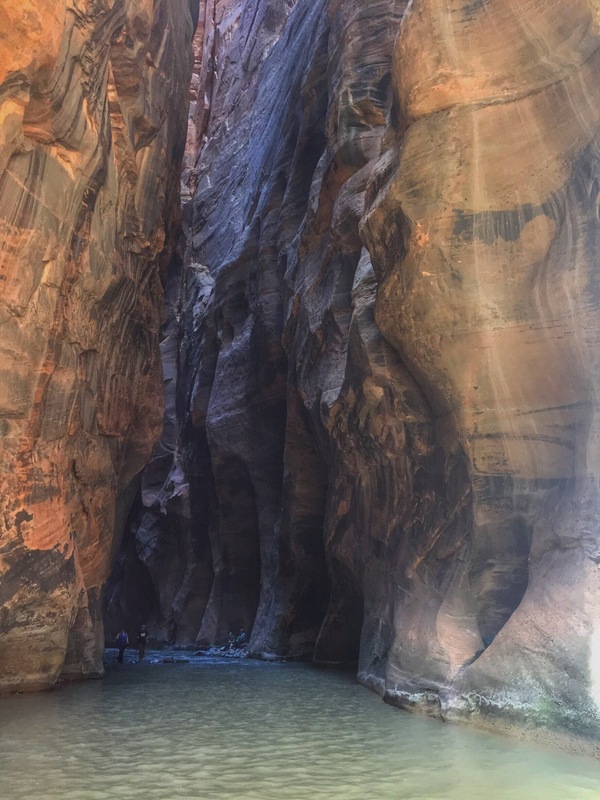 Believe me, if I had more time, I would of stayed because the place is awesome, but the urge was calling and I decided to leave Moab a day early and head back to Zion National Park! Oh, the beauty of traveling solo and not being a Type A. Hehe. This is Balanced Rock. The parking lot was also full so I illegally parked and quickly snapped this shot before I left the park. And how to stop for this as well. The flowers looked perfect against that sky. 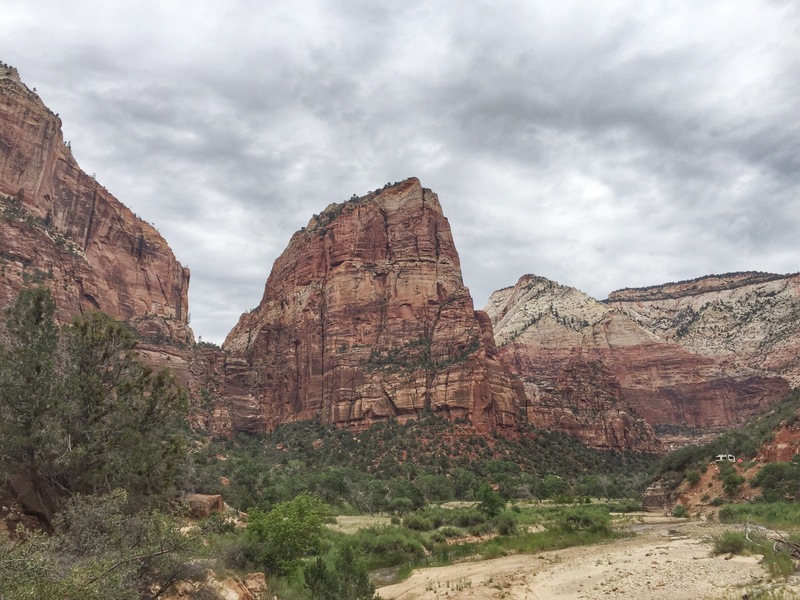 The drive back to Zion was definitely a pain in the you know what because it was raining and I am guilty of driving like a grandma in the rain. I wasn’t sure where I was going to stay that night, but I knew I had my tent and really wanted to finally face my fear and camp alone. I wanted to stop by Bryce Canyon, but when I got there it looked like the storm was INSIDE of Bryce so I kept going towards Zion. I ended up finding this campground. 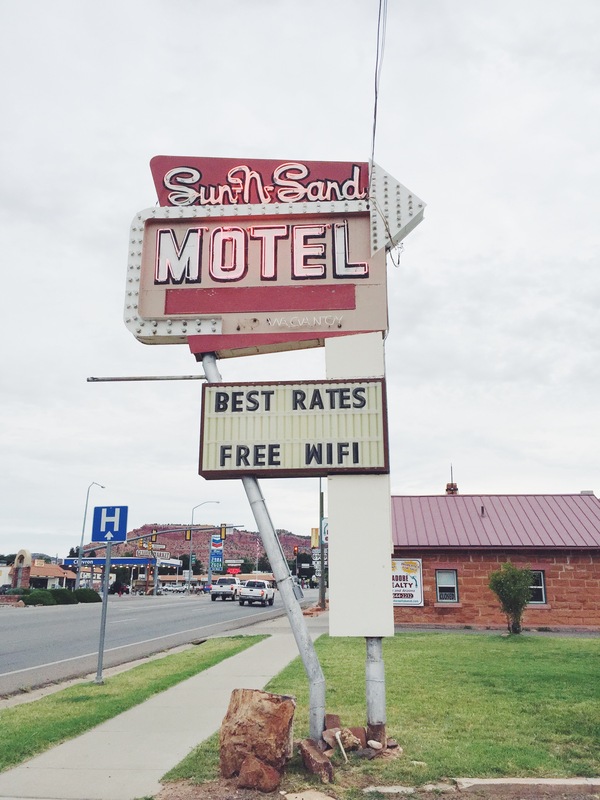 It seemed like a good, clean, and safe location so I paid $25 for the night and stayed there. I would definitely recommend the site, but the only thing is that it is right off the highway so you can definitely hear cars throughout the night when you’re trying to sleep. But look at what I woke up to! I was proud of finally camping alone and facing my fear, but the funny thing is that it ended up being so cold at night that I ended up sleeping in the car halfway through the night! I’m still proud of myself. 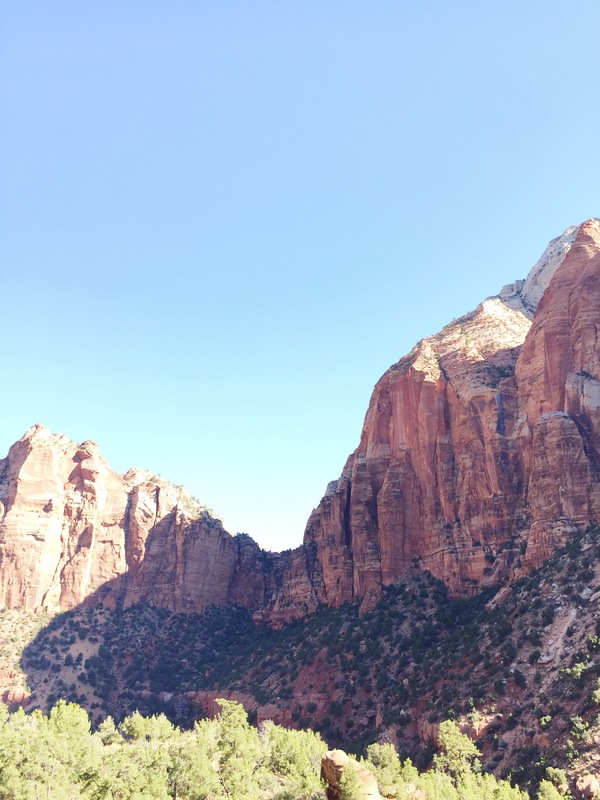 Then the next morning I was off to Zion again! 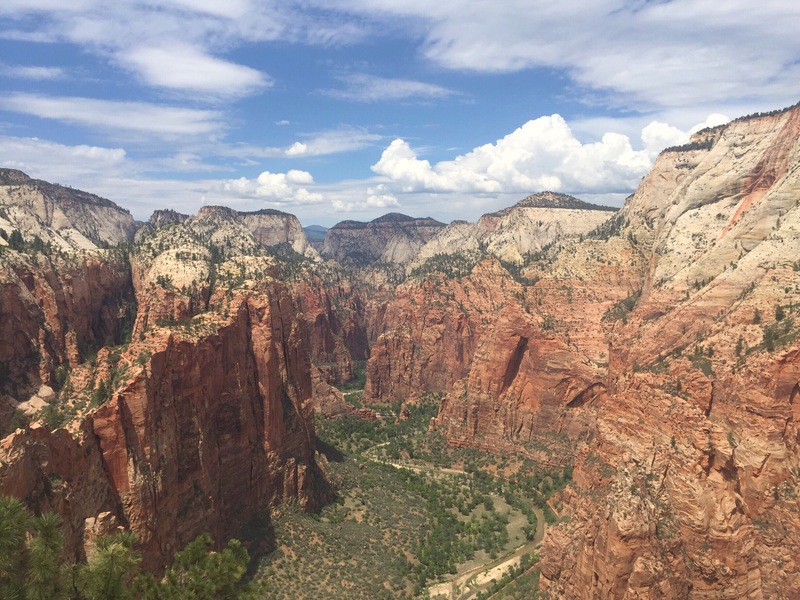 And let me tell you, I am SO happy I decided to go back to Zion before my trip ended because I ended up driving on Highway 9 – Mt. Carmel Junction to get back to Zion National Park. I can’t believe I almost missed this…. The road to Mars! My mind was completely blown driving through here. I’ve never seen such beautiful reds and greens in one place. I can’t wait till someone makes a 360 video of this place. It’s nearly impossible to get a shot without people in it. 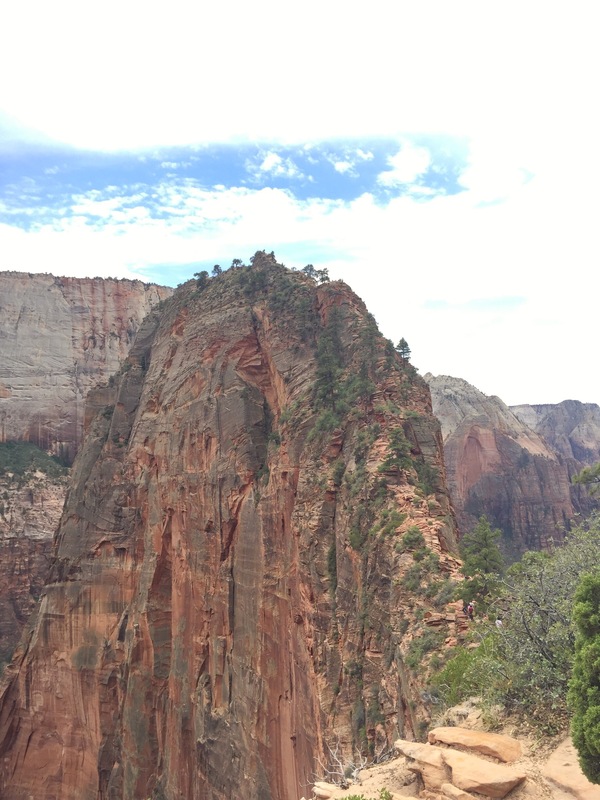 But the further you go into the canyon, the less people you will see. But with some patience, I was able to get this shot! I got about 1% of a person in this shot! Yay, me! After a few hours of trekking in the water, I got to a point where it started getting deeper and didn’t really feel like getting that wet so I decided to turn back. Short people problems! I also met two awesome guys from California who I started trekking with and they didn’t want to go further either so I headed back with them. Make sure you have dry bags for your electronics, lots of water, snacks/food, a hat, and a light sweater in case you get cold in the canyons. And please don’t wear open toed shoes! I don’t know how people did that because I stubbed my shoe a few times on the giant rocks in the water and it definitely hurt even though I was wearing my trail runners. By the time we got done, it was already close to 6pm so I grabbed some dinner with the boys and then we said our farewells and parted our ways. I was going to try and head back to Bryce to try and catch the sunset, but it was already getting late and I realized I was pretty tired so I just ended up heading back towards Vegas and got a cheap hotel room in Mesquite, NV. 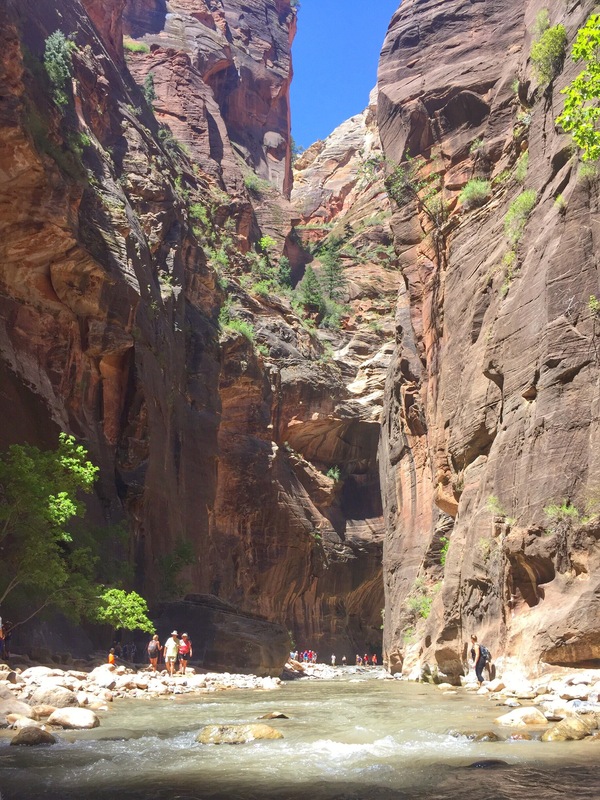 I stayed at the Virgin River Hotel. Although they gave me a room where the air conditioning wasn’t working and took almost an hour to fix, it was clean, I had a nice bed to sleep in, a nice warm shower, and it was only $27 for the night! Only $2 more than what I paid to camp outside! And that was basically the end of my road trip! Utah, you were so amazing on so many levels and I can’t wait to see you again. Till’ next time! Please feel free to ask me questions if you’re planning to go! P.S. I would recommend you buy the America the Beautiful pass if you’re planning to visit more than 3 National Parks in a year. It was $80 and also lets you drive on the Mt. Carmel Highway. Otherwise it’s $35 if you’re just passing through without going to the park. I can’t wait to use my pass again!